Rapper Will.i.am has already ventured into the smart wearable market with the launch of PULS. 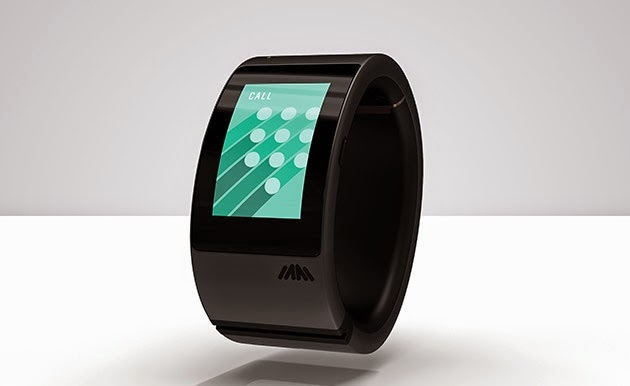 Though not technically marketed as a smartwatch, the PULS appears to be a cuff with smart capabilities. Unlike most smartwatches and smartbands, the PULS has a SIM card slot and supports 3G connectivity (includes phone calls and text messaging), which makes it somewhat a competitor to the Samsung Gear S. And like the aforementioned Samsung smartwatch, its touchscreen display curves along its body. The PULS has its own speakers too. Its specifications are quite similar to Android Wear smartwatches as the PULS comes with a Qualcomm Snapdragon SoC, 1GB RAM, 16GB of built-in storage, and GPS support. While its battery life is not known yet, its battery is said to wrap around the entire bracelet. The PULS also features a music streaming service and a voice assistant like Siri. There is also a fitness app on board. Several accessories will be launched together with the PULS. These include fashion accessories, a jacket that can charge the device wirelessly, and a backpack with built-in speakers and step counter. Its official pricing has not been announced yet but it will be available during Christmas season in AT&T stores in the US and O2 in the UK.